Embedded digital HDMI and DisplayPort inputs, ASUS VE258Q enables the most advanced graphic cards/ computers connection. 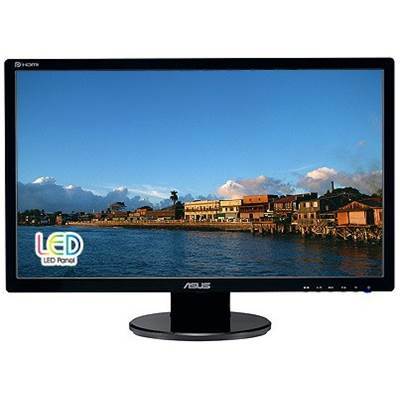 ASUS VE258Q leads you to enter a big and spectacular world of colors with Full HD 1080p (1920x1080) support and HDMI port. Embedded digital HDMI and DisplayPort inputs, VE258Q enables the most advanced graphic cards/ computers connection. The DisplayPort interface also offers better support of multiple display streams, longer cable connection, and interoperability with other inputs, such as VGA, DVI and HDMI.